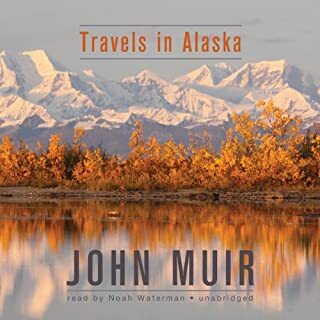 "In mid-July of 1879, John Muir sailed for the first time through the sheer-walled fjords of Alaska's Inside Passage. 'Never before this,' he wrote, 'had I been embosomed in scenery so hopelessly beyond description.' During the previous 15 years, Muir had vanished into the north woods of Canada, walked a thousand miles from Kentucky to the Gulf of Mexico, and nested himself in the granite heart of California's Sierra Nevada mountains. Wild nature burned with volcanic intensity in the core of John Muir's soul." Those who have traveled into America’s only remaining frontier rarely come back out the same. Only in Alaska can we come close to understanding what our forefathers must have felt upon their arrival in the New World. McPhee brings to this narrative the qualities that have distinguished him in the field of travel literature—tolerance, brisk, and entertaining prose, and a fascination with things most of us never bother to notice. When a shattered kayak and camping gear are found on an uninhabited island, they reignite a mystery surrounding a shocking act of protest. Five months earlier, logger-turned-activist Grant Hadwin had plunged naked into a river in British Columbia's Queen Charlotte Islands, towing a chainsaw. When his night's work was done, a unique Sitka spruce, 165 feet tall and covered with luminous golden needles, teetered on its stump. Two days later it fell. The saga of a land from the time when the volcanic islands rose out of the sea to the decade in which they become the 50th state. Michener uses individuals' experiences to symbolize the struggle of the various races to establish themselves in the islands. "Stickeen.... pushed his head past my shoulders, looked down and across, then looked me in the face and began to mutter and whine; saying as plainly as if speaking with words, "Surely, you are not going into that awful place. 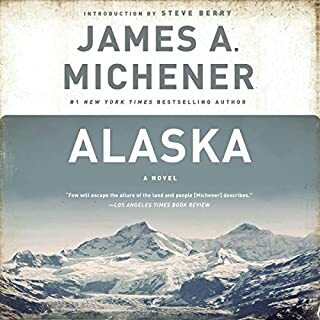 "As the darkness of a freezing night approaches, an experienced American naturalist and a dog are trapped on an Alaskan Glacier. This is a true story, written by one of the United States' most famous naturalists and explorers. Acclaimed travel writer Jonathan Raban invites us aboard his boat, a floating cottage cluttered with books, curling manuscripts, and dead ballpoint pens. He's about to sail alone from Seattle to the Alaskan Panhandle, following an ancient sea route rich in history, riddles, and whirlpools. It's the perfect setting for Raban's prodigious intellect, eloquence, and eye for detail. Passage to Juneau is not a travel thriller; the trip is hazardous, but that's not the point. Instead, Raban takes us on a journey of contemplation, literature, lore, mythology, and science. We learn about the canoe culture of the Northwest Indians; the British ship Discovery, which traveled the same route in 1792; and the physics of waves and turbulence, to name just a few of his far-ranging topics. And, as Raban finds himself in ominously personal waters (his father's illness, his own marriage, the daughter he left behind) it's also a journey of the heart. What made the experience of listening to Passage to Juneau the most enjoyable? 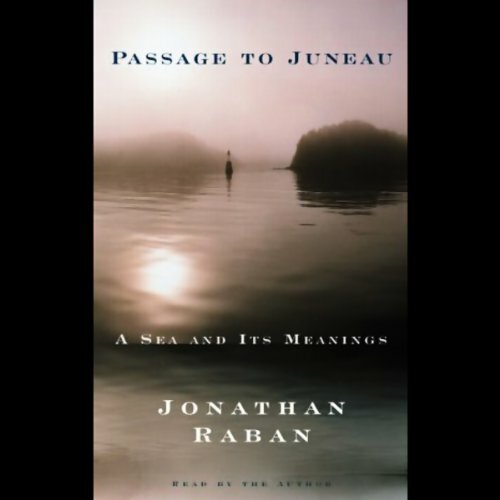 Jonathan Raban attempts to follow the same route than Captain George Vancouver weaving his own adventures in with the rich history of that expedition and area. I had no idea and therefore taken for granted, how Vancouver Canada got its name. 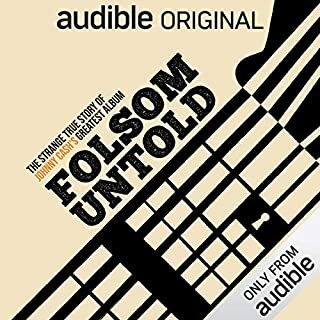 I learned a lot listening to this book. What was one of the most memorable moments of Passage to Juneau? The personification of Captain Vancouver. Though not the most popular or charismatic, I really got a sense of the man and it made me curious to find out more about him. Where Raban comes across a breaching Killer Whale while alone at sea. Paraphrasing; He says something along the lines like "When you're on a tour it's exciting. When you're alone it's terrifying"
The only "extreme" reaction is that it made me more curious about the region. I had picked this up just after a week long cruise of the inside passage and now I can't wait to go back armed with what I know from this book. 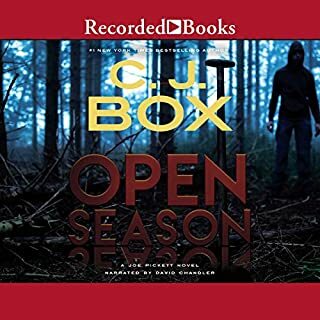 It's really a shame that this is the only book by Jonathan Raban on audible. And abridged at that. 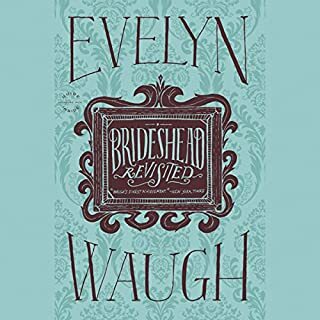 His rich British baritone and his use of voices makes him one of the better author-narrators. 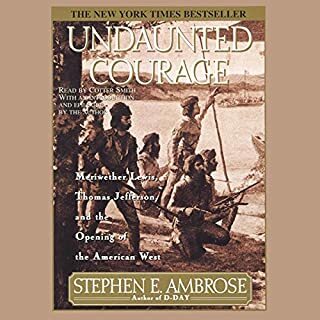 the author does an Artful job charting the currents of the Inside passage, the historic journey of Captain Vancouver, and ultimately a dark chapter of his own life. Good stuff about the Pacific Northwest and the relationship of physical and emotional landscapes.